Want to see the results? Check out the Before and After Pictures. Everyone knows that a healthy diet and exercise are important factors in determining the way we look. They are however not ‘targeted’ solutions because they can’t get rid of unwanted fat in a particular area of your body . Sometimes no amount of diet and exercise will help when you have ‘problem’ areas on your thighs or tummy. 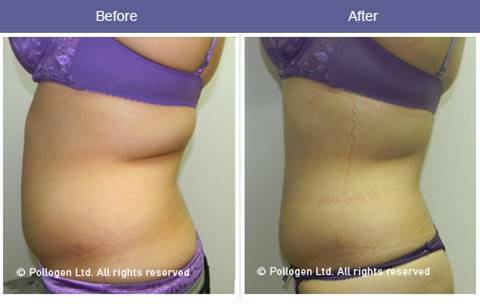 We use Pollogen technology to address your body contouring and firming challenges because it’s safe, effective, and surgery free. Infinitus Med Spa is honored to bring you outstanding results with the latest TriPollar technology and TriLipo Technology . You’ll enjoy clinically proven solutions to get rid of unwanted fat and treat those ‘trouble’ spots. Millions of satisfied customers are testimony of the efficiency of Pollogen’streatments. In a simple ‘walk-in walk-out’ procedure you can enjoy advanced body contouring and firming. Results are usually visible from the very first treatment. We would be delighted to recommend a treatment that suits your needs. Call us at 610.277.2278 for you appointment today.